Cruising into his fourth decade of rap stardom, Vallejo’s E-40 only gets better with age. Strutting his stuff above a filthy hyphy instrumental, E-40 comes down hard on bullshitters in “Ain’t Talking Bout Nothin’,” his latest single. Recruiting two Los Angeles rappers for a quick drive up The 5 to Oakland, 40 spars with Vince Staples and G Perico on the single, creating a fascinating contrast of styles: 40 uses his unlimited vocabulary and unique flow to create a nursery rhyme of sorts, while Perico aggressively reps for South Central and Vince mocks mumble rappers with his nimble flow. In the video, the three emcees wild out in a dark room, lit only by neon and the fire in their eyes. 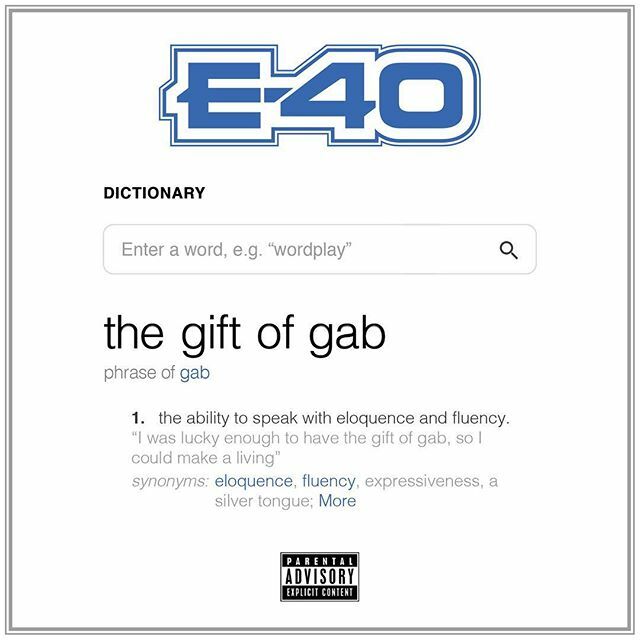 Last week, the prolific hip-hop legend shared The Gift of Gab, his 28th solo studio album, and the first of three 2018 LPs in the The Definition Series. On the new album, 40 flexes his lexicon over high-definition Bay Area beats, wielding his rubbery and elastic flow to expand his sonic palette and mutate the mainstream to fit his singular vision. 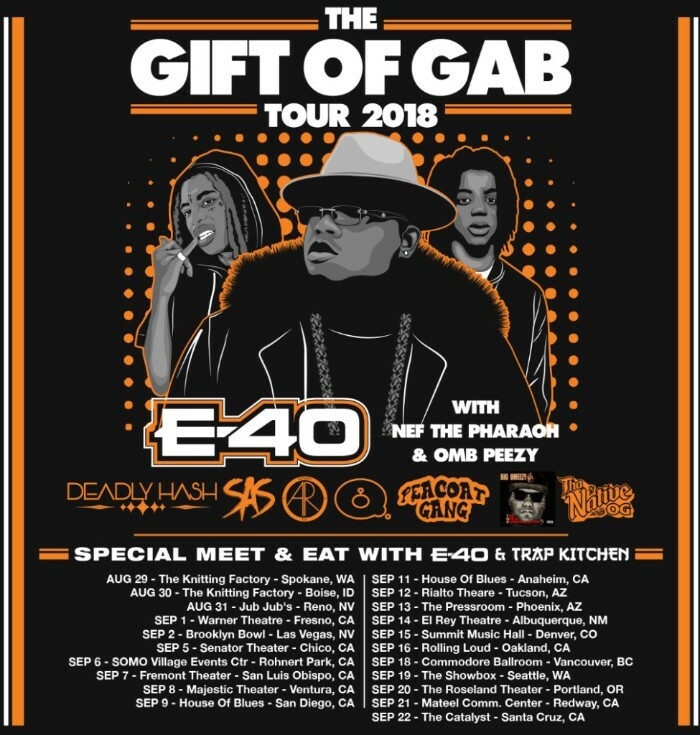 Featuring appearances from Ty Dolla $ign, Kent Jones, Yhung T.O., Problem, FMB DZ, Sada Baby, Konshens and more, The Gift of Gab is available via Sick Wid It Records.